There were very few recipes/foods I could find starting with X. Xavier steak seemed the perfect choice this week. 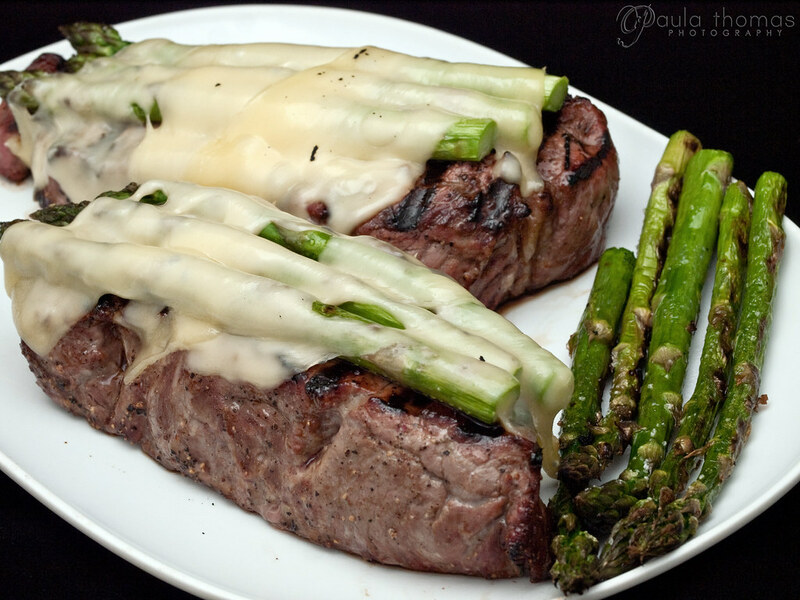 It's very simple, described as steak with asparagus and swiss cheese on top. I didn't bother following a recipe, not like there are many out there anyway. I think I only came across one when I was looking. I wasn't sure where to get the steaks from. I wanting something good but didn't really want to pay a fortune. I posted a quick poll on twitter asking which of the grocery stores near me had the best steaks, giving the options of Fred Meyer, Albertsons, and Safeway. Those options didn't seem to please too many. I had one vote for Albertsons and one for Safeway. All the rest of the votes were for places not from the options I gave. Whole Foods got the most votes. Since there's one not too far away from work, we decided to stop by there on the way home for the steaks and swiss cheese. Luckily the New York Strip steaks were on sale for $9.99/lb Not too bad! 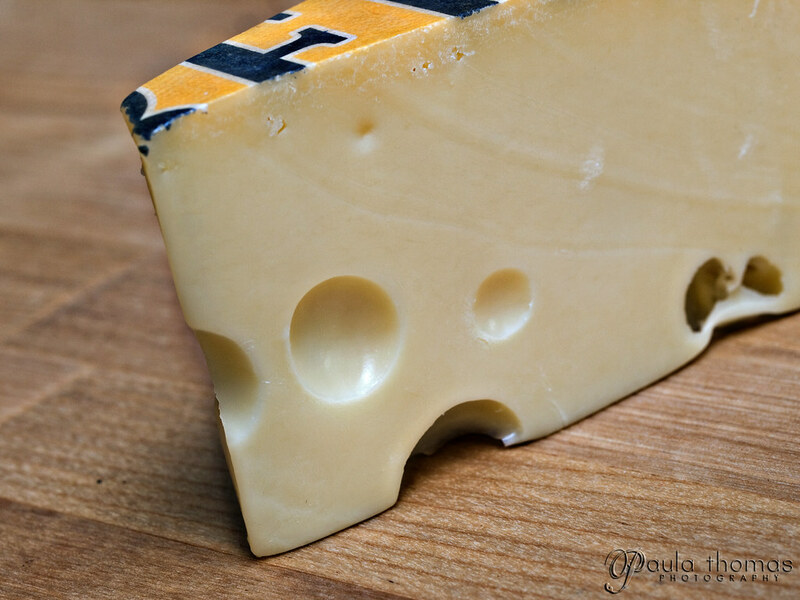 So I picked up two of those along with some Swiss Jarlsberg cheese. Below is my easy Xavier Steak Recipe. 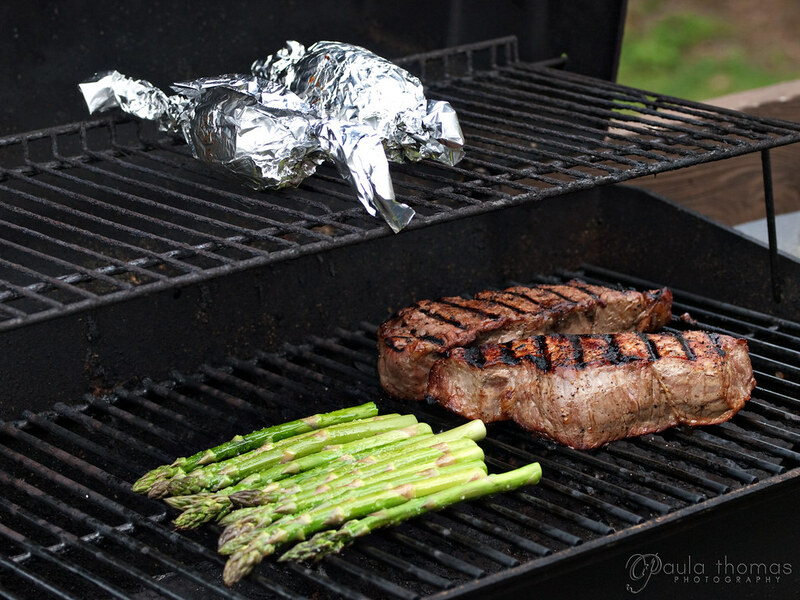 2) Place steaks in a glass container with Worcestershire sauce, coating all sides and place in Fridge. Turn steaks after 15 mins and leave in fridge for an additional 15 mins. 6) Brush asparagus with an oil and salt mixture and cover for 6 minutes, turning after 3 minuts. My steaks ended up a bit rarer than I normally eat steak. They were medium to medium rare and I normally like medium well. They turned out very well though. One of the best steaks I've made myself. I'm sure getting good quality steak also helps. The steaks were so big we ended up splitting one of them and saving the other for later.